Sky, Dorset Cereals, Fuller's brewery, are just some of the brands that the IPM is working with to create an industry-agreed effectiveness model for experiential campaigns. The IPM has released its measurement framework, and is also working with St Austell Brewery, Red Route Research and the University of West of England's Business School on the testing period. Circle, Wasserman, Jack Morton, Leith, PrettyGreen, TRO, The Bridge, Ambient, Curb, Haygarth and Wolf Brand Experience are also working on the project. 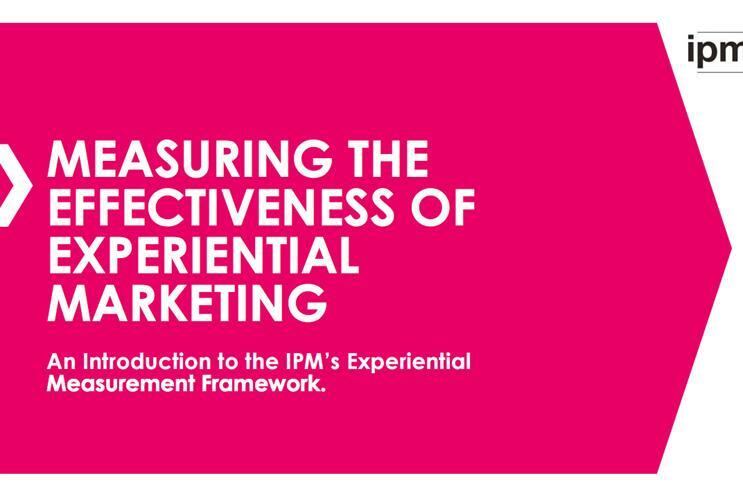 The IPM wants to measure pre-and post-experience audience behaviour and look at benchmarks around increasing brand affinity; increasing purchase intention or behaviour change; measuring engagement dwell time; return of investment; and cost per contact and reach. The IPM announced its intention to create a measurement scheme in June.